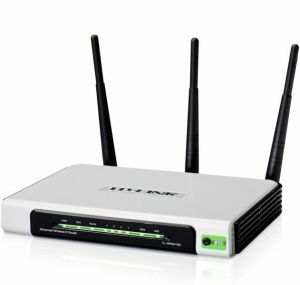 Equiped with 3 antennas and 3x3 MIMO tecnology, users can create a high speed wireless network and up to 18X the speed and 6X the range of conventional 11g products. It shows more excellent abilities of mitigating data loss over long distances and through obstacles in a small office or a large apartment, even in a steel-and-concrete building. Above all, you could easily pick up the wireless network during long-distance connection where legacy 11g products may not! Among the wireless network, indiscriminate Internet surfing and bandwidth-guzzling downloads by internal users often leave home or small office with insufficient bandwidth. TL-WR941ND supports IP QoS function, allowing optimum utilization of bandwidth and offers bandwidth control over congestion, preventing the bandwidth abuse. In this way, the users of a small network receive committed and specific bandwidth, preventing non-critical applications from degrading network performance. 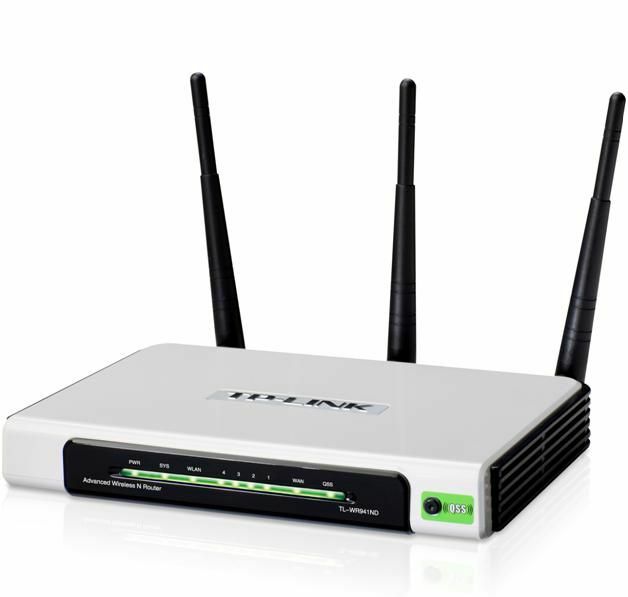 The TL-WR941ND features Wi-Fi Protected Setup™ (WPS) that allows users to almost instantly setup their security simply by pressing the "WPS" button automatically establishing a WPA2 secure connection, which is more security compared with WEP encryptions. Not only is this faster than normal security setups but more convenient in that you don’t need to remember a password!